Players who enjoyed playing Commandos series are surely going to love Shadow Tactics. 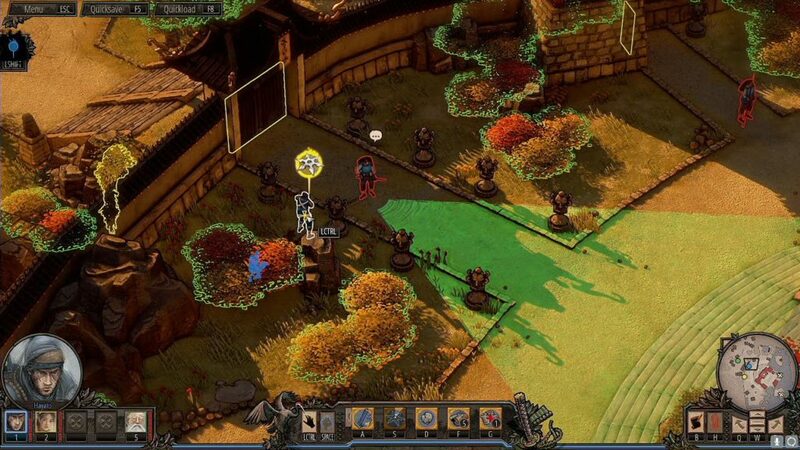 It is a stealth-strategy game set in feudal Japan. Game is divided into 13 stealth missions and a group of skilled people trying to stop a civil war. You can command five different warriors with unique skills and distinct abilities in the game. The fat samurai can kill three opponents in an instinct; old sniper can clear out a yard full of guards from distance; the disguise artist Aiko can pass through guards unnoticed; Yuki the thief, specializes in placing traps and Hayato, the most versatile character in the squad can get you out of tight situations. These characters might not be extremely powerful individually but together they form a force that overturn the tide of war that is been going on the in the game. Every mission holds unique goal for you and the number of characters to play with. This playstyle restricts players from taking the mission lightly because every character in the game has some special abilities and some weakness. 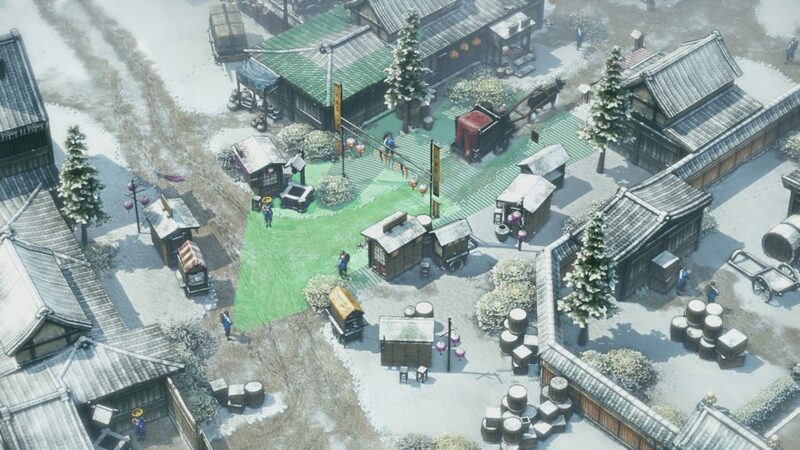 In the historical country of Japan, you get to assassinate soldiers, sabotage enemy arsenal and break through prisons. Each mission is designed to be completed with a number of different ways, so players can practically replay every mission multiple time for the sake of fun. There are certain unlockables challenges like speed runs that offer added incentives to experiment. May be a drawback of gameplay is that it only allows you to give single order per click. For instance, if you want to kill a guard and then hide his body, you have to give two different commands. Similarly, to hide everyone after a suspicious act in also irritating. May be a combined command of killing someone with auto-hide option would have been more beneficial for players. Story line is simple but filled with immense detail. Cut scenes are short and meaningful. Gameplay include lots of puzzles but with some irritating design decisions which hold backs the game from becoming the ultimate stealth-strategy game. Still with amazing graphics and improved design, bringing back an old genre game is an achievement nonetheless. With 12 hours campaign, Shadow tactics is may be a little long to stay interesting till the end. Mimimi’s effort should be appreciated regarding the fact that although this game is not a flawless masterpiece still with the elegant design and interesting gameplay, Shadow tactics has received a 10/10 ratings on steam.